Catching the fish is one thing. Cleaning it neatly and easily is another -- and the right tools make all the difference! Memphis Net & Twine sells fishing knives and fish net knives as well as different kinds of knife sharpeners, knife gloves, boning hooks and other accessories to keep your knives sharp and ready to work for you. We offer many different Dexter-Russell wood handle knives -- not only boning knives and fillet knives, but also cleavers, beef skinners, butcher and paring knives, and more. 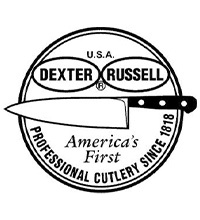 We also carry the Dexter-Russell Sani-Safe knives. These knives come in different specialty styles such as Fillet and fish splitter, and have plastic handles and stain-free blades made of high-carbon steel so they are easy to keep clean and sanitary, use after use. With all the super-sharp fish knives you can get from Memphis Net & Twine as well as knife sharpeners to keep them that way, you'll probably want to play it safe with some of our knife gloves! Available in small, medium and large sizes, our Whizard gloves are made from Kevlar and nylon-wrapped stainless steel wire to provide superior protection from knife cuts. Shop Memphis Twine & Net today for all the fishing knives, boning hooks, knife sharpeners and accessories you need to clean, debone and fillet fish safely and efficiently.